New mum with an aching back? Try this quick fix! Have you got an aching upper back? I seem to be seeing this quite a bit with clients at the moment, and a common cause is slouching, which granted most of us are guilty of, but feeding a baby seems to make it so much worse! I’m wondering if ‘baby-feeding back’ can become a thing, like ‘tennis-elbow’? So a massage will help, right? Yes and no. Yes in that absolutely, when you have a collection of knots between your shoulder blades that could earn you a Scouts badge, a good massage feels glorious. But this can be short term, because it hasn’t addressed the cause of your soreness. I’ve already mentioned poor posture when feeding, slouching or hunched over baby. And there’s a chance it’s not just when feeding. Next time you’re in a queue or waiting for the kettle to boil, pay attention to how you’re standing: have you let your shoulders slump forwards? Do you find yourself standing like the figure on the left or the right? If you spend too much time sitting or standing with rounded shoulders, your chest is in a shortened, tight position, and your back is stretched. This stretch on the back muscles mean they become tense, fighting this pull and developing sore knots. Massaging these tights spots will help make you feel and move better in the short term, so keep doing that, but your chest needs releasing and lengthening to stop that strain on your back. Even better, strengthening your back will really help you to maintain better alignment and prevent the ache from returning. Here’s how. This is a lovely chest release, and targets down the arm and wrist too, which can get tight from all the lifting mums do! Do one arm, then before the second do some arms circles to compare how your arms feel. Does the side you’ve released feel a lot looser? You may want to release your shoulders too, as I find a lot of cients have tension here. 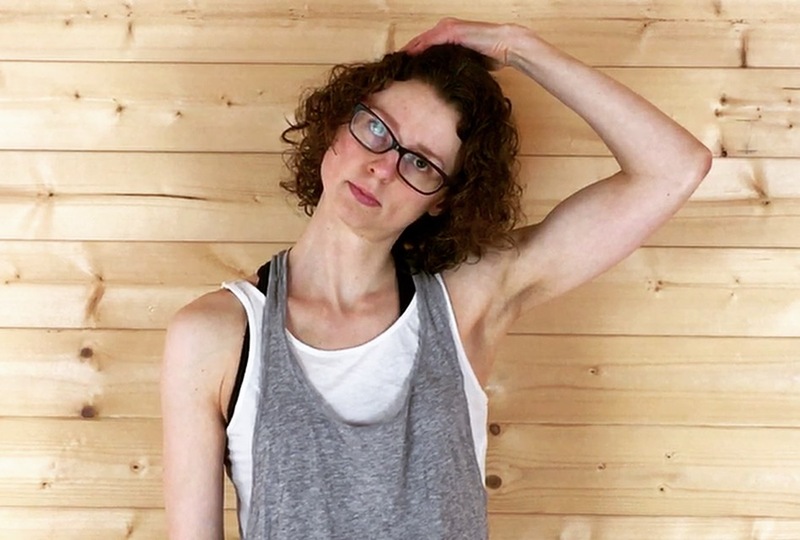 A stretch or some self-massage are fine, just keep the stretch gentle and hold it long enough that you feel the muscle has released (you can compare the stretched side to the other like above, to make sure it’s worked). No need to use your hand even, just tilt your head to one side. A simple exercise you can do anywhere, the wall angel is great for strengthening your upper back. Stand with your feet 3-4 inches from the wall, and there should be a gentle curve in your low back. When you raise your arms to the wall maintain that cureve- if you feel your back arch then gently engage your tummy muscles to maintain your posture. Once your arms are up, try to relax your shoulders, rather than allowing them to hunch. For the vast majority of people just holding this position is enough, not need to slide your arms up yet. Start with 30 seconds. While there try to keep your breathing sow and controlled, with your ribs opening up to the sides. Doing the hand to wall stretch before the wall angel helps to make the wall angel easier. Both together only takes a couple of minutes so you can do them 2-3 times a day. Finally,you need to remove what’s causing your back to ache, in this case poor feeding habits! Try supporting your back and baby with cushions when feeding so you can sit more upright, and if you’re bottle feeding try changing which side you feed from too. Of course there can be other reasons for an aching, including how you hold baby, previous injuries or conditions. Core strength can also play a big part, and I’d always recommend a restorative postnatal exercise programme. And remember, if you have any severe pain, especially in the spine itself (I’m just talking about musclular aches in this blog) then see a therapist. If you have any questions about anything in this blog you can find me, along with other pregnancy and postnatal professionals, in this Facebook support group. We’ll be happy to answer any questions. 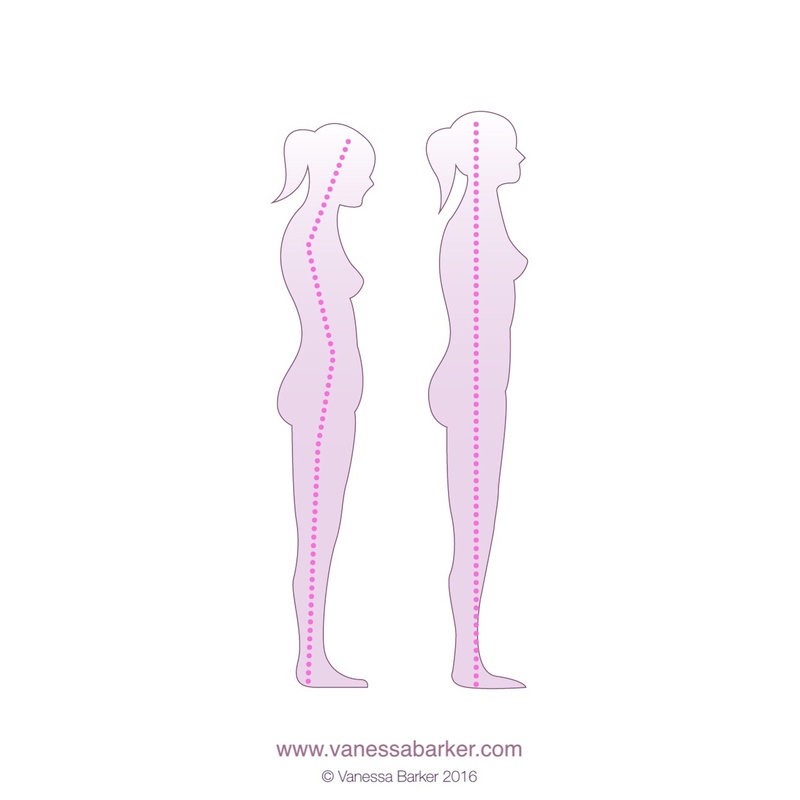 https://www.vanessabarker.com/wp-content/uploads/2017/03/Aching-Back_-Try-This2.png 788 940 Vanessa https://www.vanessabarker.com/wp-content/uploads/2015/11/logo.00.jpg Vanessa2017-03-22 14:26:232018-04-24 16:18:12New mum with an aching back? Try this quick fix!